We specialise in inspections and have conducted thousands of inspections for purchasers, home owners and real estate agents and offer some of the best rates in the industry. We offer 2 types of inspections from $180 including GST. to comply with AS 4349.3 2012. We inspect the roof space, every room in the property, garage, carports and any out buildings and the front and back gardens. We look for Termites, Borers, Wood Rot and Damp. The 13 page report is e-mailed to the purchaser, settlement agent and your real estate agent within 24 hours of the inspection. to comply with AS 3660.2 2012. We inspect the roof space, every room in the property, garage, carports and any out buildings and the front and back gardens. We look for Termites (a.k.a. white Ants), Borers, Wood Rot and Damp. The 12 page report is e-mailed to you within 24 hours of the inspection. Many other Pest Control companies use 1 or 2 page handwritten reports with very minimal detail that don’t comply with the Australian Standards. Some of these companies have no Public Liability and Professional Indemnity Insurance. Radiate contains the active ingredient Fipronil. The chemical is applied as a continuous chemical soil zone around and under the home and is often called a Barrier Treatment. Some termiticides are repellent and rely on keeping termites away from treated structures. While such products are toxic to termites, very few of the termites are actually killed before being repelled by the termiticide barrier. Radiate is non-repellent to termites. This means that they cannot detect the product and will not avoid the treated area. As a result, termites continue to forage through the soil until they encounter the chemical and pick up a lethal dose. 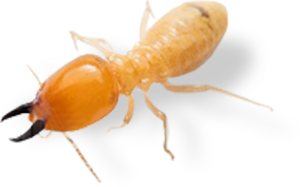 The chemical is transferred from one termite to another prior to death and can kill the whole colony and queen. Radiate can also be used to control Ants very effectively. Biflex Ultra-Lo-Odour is a broad spectrum, long residual, liquid insecticide and termiticide for use as an internal and external treatment of a wide range of pests. The dual action of Biflex Ultra will kill and repel subterranean termites making it ideal for long term pre-construction and post-construction termite control and protection. It’s unique EC formulation is non-staining and practically odourless, It is mainly used to control general pests when doing an outside spray as well as Termite barrier treatments. A residual insecticide concentrate for use in the management of ants, cockroaches, spiders, fleas and bedbugs in various domestic and commercial situations. The active ingredients are beta-cyfluthrin 25 g/L imidacloprid 50 g/L. Generation Block Contains Difethialone, a single feed active ingredient in the control of rodents. These palatable extruded blocks are excellent for the control of large populations of rats and mice. Dragnet Dust is a 2% permethrin, broad-spectrum insecticide dust especially formulated to reach into limited access areas. Containing twice the active ingredient loading of normal dust formulations. It is used for the treatment of Ants, Bedbugs, mites, cockroaches, fleas, Spiders, Wasps and Termites. It is often used with an electric gun and pumped into roof spaces. Advion cockroach gel bait is a new, high performing product targeting all pest species of cockroaches. Based on the active ingredient – indoxacarb. This unique product combines a novel, high-consumption bait matrix with a potent, non-repellent active ingredient. Cockroaches cannot resist this superior combination and even the toughest populations are quickly controlled. Amdro is a selective insecticide for control of certain ant species. A highly effective granular bait. It is carried into nests by worker ants and kills the queen. Cislin 25 is the new premium quality Deltamethrin based suspension concentrate chemical that can be used with complete confidence inside and out. It has the same broad level of activity and residual performance, a high level of safety and formulation quality. It can be used with complete confidence both inside and out. It can be used on Cockroaches, Ants, Spiders, Fleas, Bedbugs, Mosquitoes, Flies, Stored product pests, Bark beetle, Anobid and Bostrychid borers, Silverfish, Carpet beetle and clothes moth.